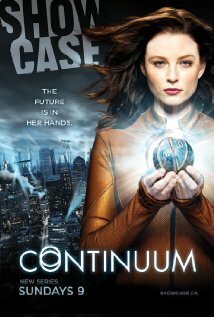 This week, Spocksoc will be continuing our weekly screenings with the second half of season 3 of Continuum. For those who have never seen it before, when a group of rebels convicted as terrorists escapes execution by fleeing from the year 2077 to 2012, Kiera Cameron, a future Vancouver law enforcement officer, is involuntarily transported with them. In order to track them down and keep them from changing the past (and presumably future), Kiera joins the Vancouver Police Department and uses the skills of a young tech expert, Alec Sadler. As always, we will be meeting in Macaulay Theatre at 5pm Friday and doing a pizza run at 7pm.